Tourism operators in Japan have launched an initiative to promote whale and dolphin watching in the waters off the country's many islands. 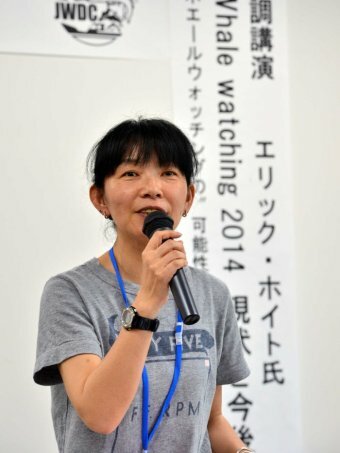 With figures showing the industry is growing at six per cent a year, the Japan Whale and Dolphin Watching Council held its first meeting in Tokyo this week. There are now more than 200 operators in the whale and dolphin watching industry which campaigners say offers a positive alternative to the slaughter of the mammals. They say the industry is burgeoning and with it, the promise of bringing much-needed cash to coastal communities. One of the organisations taking part in this week's meeting in Tokyo is the International Fund for Animal Welfare. Marine campaigns manager Matthew Collis says tourism based on whale and dolphin watching is a positive alternative to whaling for coastal communities. Mr Collis says the industry is homegrown with Japanese making up the majority of people on watching tours. "That's why the tourism operators themselves have come together because they realise the value of that and the importance of that within Japan itself," he said. "I think it's demonstrating that there's a new generation in Japan that doesn't look at whales as food but looks at them as living, breathing magnificent creatures that they are and that are far more fun to shoot with a camera than with a harpoon."